Sharma et al. (2015) Proc. R. Soc. Lond. B. 282: 20142953. 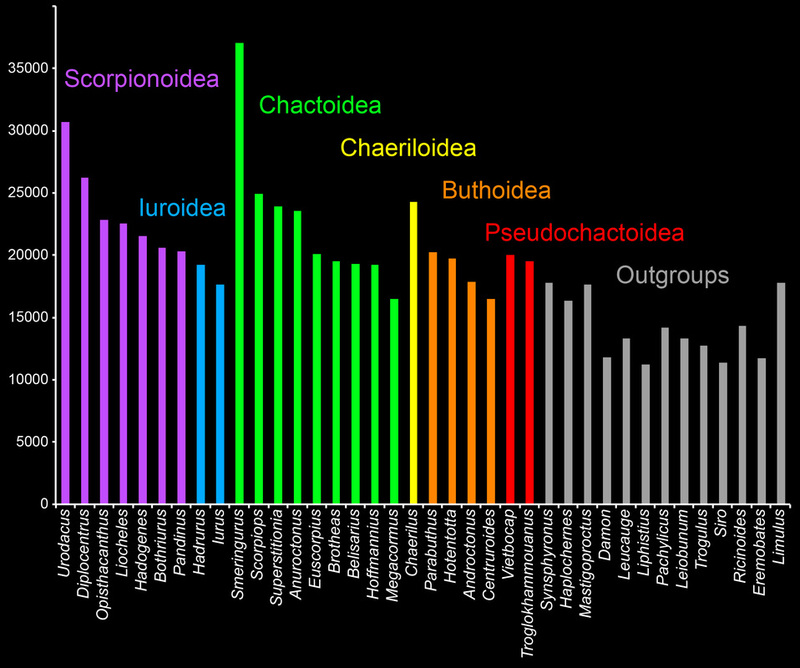 The phylogenetic placement of scorpions (order Scorpiones) has been historically contentious. Similarly, the internal phylogeny of scorpions has long been in dispute, as various authors have favored different sets of morphological characters in phylogenetic analyses or synoptic classifications. 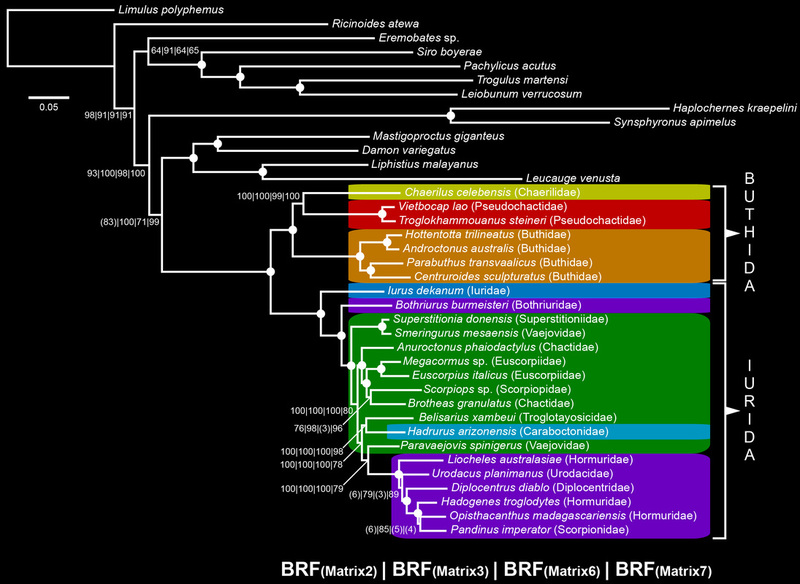 In the figure below, colors in branches correspond to the six superfamilies currently recognized. Together with a team of postdocs/early faculty (Drs. Rosa Fernández, Lauren Esposito, Edmundo González-Santillán, and Lionel Monod), I addressed the higher level relationships of scorpions using a transcriptomic approach, sequencing tens of thousands of mRNA transcripts. Shown below is the composition of the dataset, as measured by number of filtered peptides per library. The Navajo plots in the figure below indicate the study design. 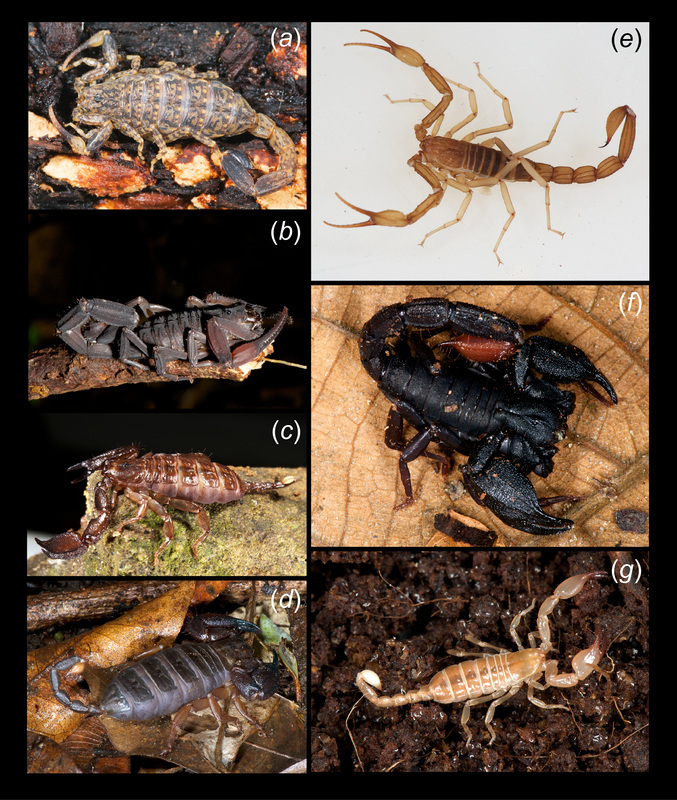 We obtained a robust internal phylogeny of scorpions that is very much at odds with the traditional classification--the level of discordance is much greater than normal for arthropod phylogenies. The colors in the tree below correspond to the traditionally recognized superfamilies, half of which are shown to be para- or polyphyletic. The addition of other datasets (454 libraries, whole genomes) only revealed additional non-monophyletic groups, both within Buthida (immediately below) and Scorpionoidea sensu stricto (bottom). 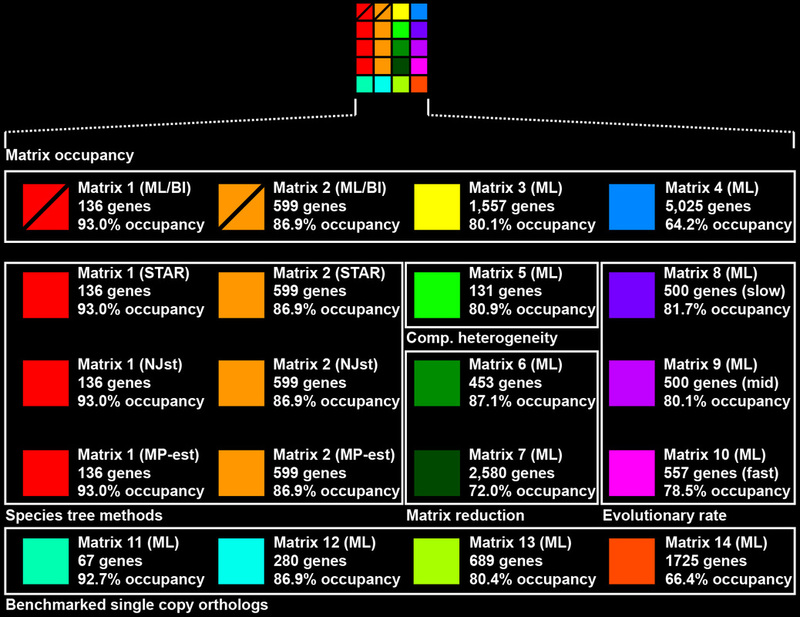 Bars adjacent to terminals indicate representation in the matrix by number of loci.